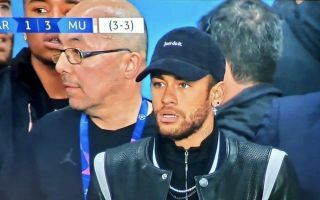 Neymar has been charged by UEFA over comments he made following Paris Saint-Germain’s exit from the Champions League at the hands of Man Utd. The Ligue 1 champions crashed out of the competition earlier this month, with United scoring a dramatic injury-time penalty via Marcus Rashford to advance to the quarter-finals. 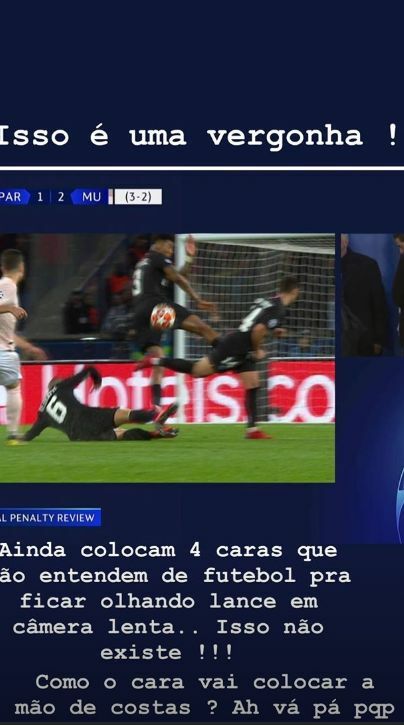 As seen in the image below taken from his Instagram stories post, Neymar slammed the officials for awarding the spot-kick, and didn’t hold back either with an x-rated caption. “This is a disgrace, they put four people that know nothing about football in charge of looking at the replay for VAR,” he noted. “There is no penalty. How can it be a handball when it hits his back! Unsurprisingly, UEFA were alerted to it and have now charged him over his comments, as seen in the tweet below. In turn, it remains to be seen what disciplinary measures are passed down by the governing body, with Neymar potentially now at risk of facing a suspension to start next year’s Champions League group stage. Ultimately, he can’t get away with saying things like this on social media or otherwise, as although his frustration and anger over going out is understandable, there are ways to express it. This certainly wasn’t one of them.